Woods Bay Charters is located on the beautiful, Flathead Lake, only 45 miles south of Glacier National Park in Northwest Montana. The lake itself is one of the 300 major lakes in the world and is probably the purest of them all being glacier fed. It is 28 1/2 miles long, 18 miles wide and 385 feet deep. 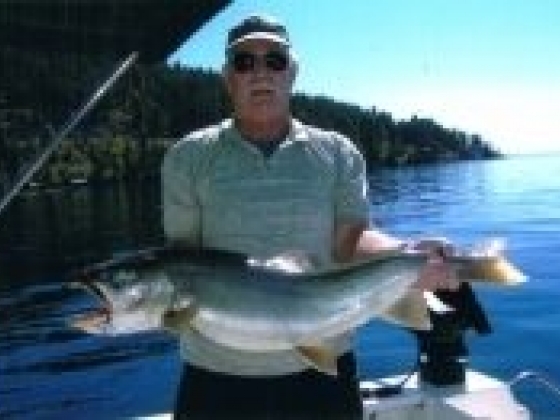 Thus, the lake has a natural and thriving "Mack" lake trout population; our specialty. Flathead Lake Fishing Charter Boat woods bay 5Our 24 ft. Bayliner Trophy Pro called the Fishaholic too. We have full canvas covers for protection from sun and rain and private facilities. 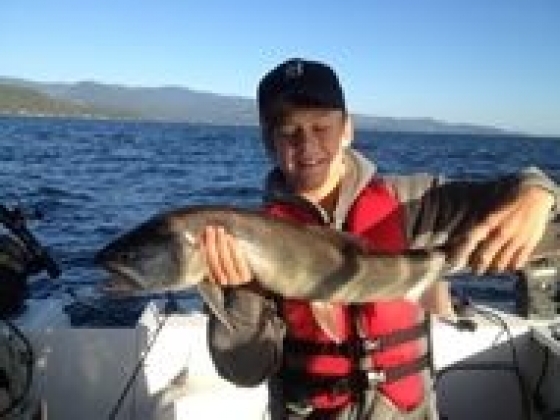 We can accommodate up to 4 adults and 2 children Flathead Lake fishing charters. 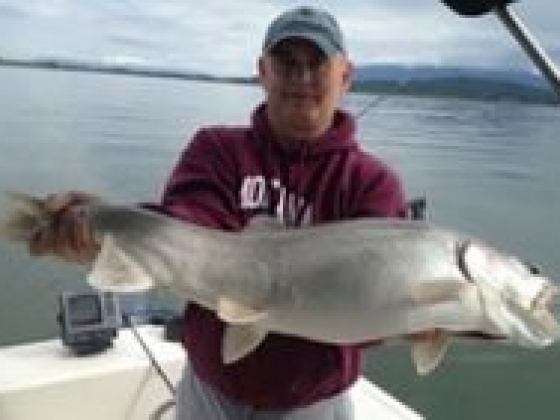 Flathead Lake fishing charter trips include full day (lunch included), half-day (morning or afternoon), and twilight. 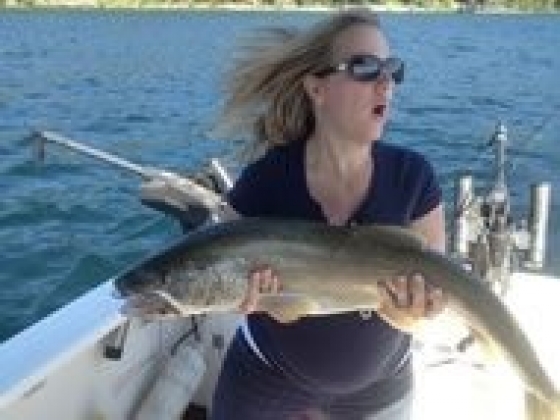 A trip ashore on one of the many lake islands can be arranged for the serious fisherman and the sightseer alike. woods bay 4All fishing tackle, snacks and cold drinks are provided, however, a Montana fishing license is required at about $27 for a two day permit which is extendable. License can be obtained near our docks.